The tweenager was very busy doing her own thing this summer, including a week at cadet camp, and two weeks at transition camp for secondary school. What with the whirlwind which is the new baby, we were much in need of a bit of quality time together. 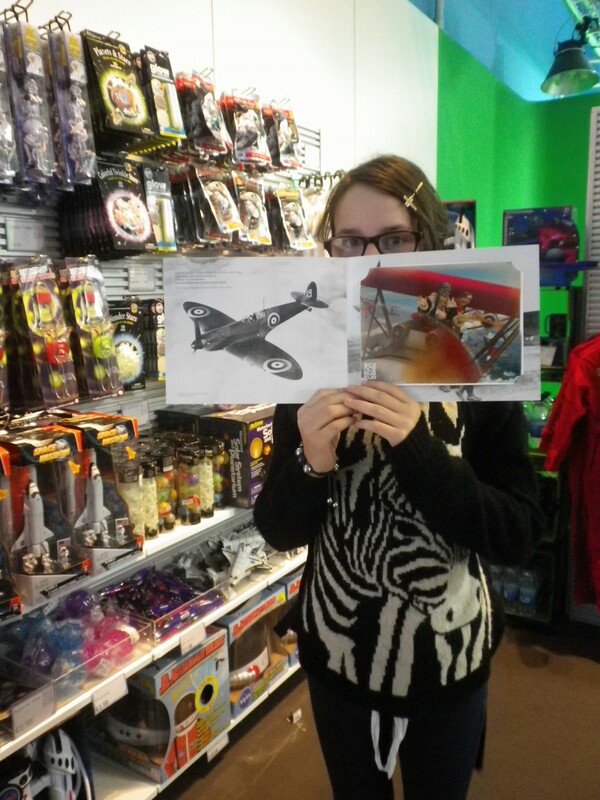 One day she bounded home from a camp trip to the Science Museum, begging to see a 3D film at the IMAX cinema there. Mysteries of the Unseen World, a new 3D film was opening. I picked a day the toddler would be at nursery so that we could have our girlie day out (with baby, of course). The tweenager had a theatre trip planned that evening (I told you she was busy!) – I didn’t want to tire her out, but I wanted it to be special. And special our visit was – normally we come to visit the galleries, but this time we enjoyed the museum in a different way. I picked an afternoon showing – turning up just before 2pm we walked straight in – no queue, even though it was the summer holidays! Before the film I surprised the tweenager with a visit to the Fly Studio. On the third floor of the museum, it’s a drop in photo studio where you dress up and have your picture taken against a green background. With a bit of computer wizardry they then add you to a themed background. We had great fun picking our outfit and posing – as you can probably tell from the result! 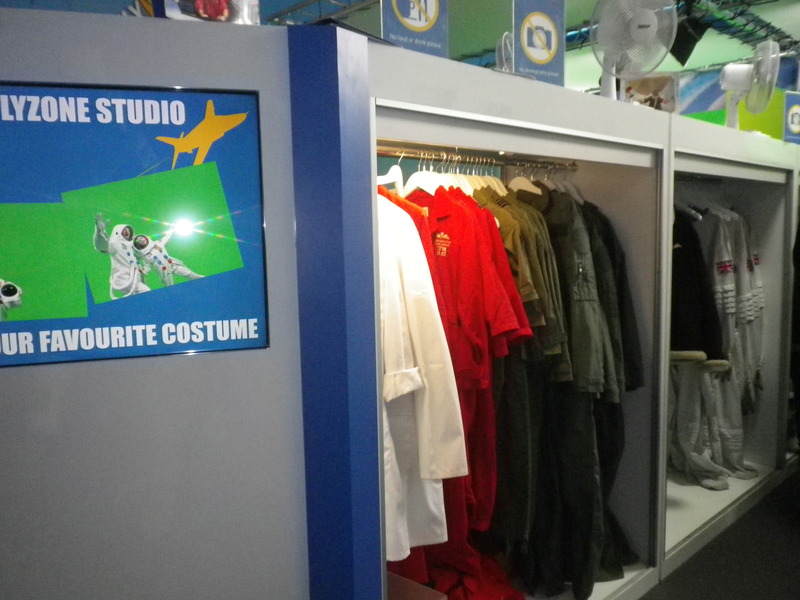 They have a choice of astronauts in space, Red Arrows or – the one the tweenager picked – Second World War fighter pilots. We ran out of time to select our photo so remembered our studio time before heading off. Unfortunately we got a bit lost – we couldn’t find the IMAX entrance, and after the quickest dash ever through the museum we had to be escorted up to the cinema in order to make the showing! We clearly weren’t the only confused ones, as with us were another family who had lost a member of their party. We thought the screen was on the third floor, which it is, but you can only enter from the ground floor, the Wellcome wing at the very back of the museum. The staff member we collared was very helpful, radioing ahead and taking us up in a non-public lift. It just meant there wasn’t time to get popcorn before the film! Mysteries of the Unseen World is a 3D science film which explores what the naked eye cannot perceive – things that are either too fast, too slow or too small for us to observe. It uses time-lapse photography, computer imaging and high-speed photography to look at everything from the invisible part of the light spectrum, to how the surprisingly complex ‘slime mould’ searches for food. 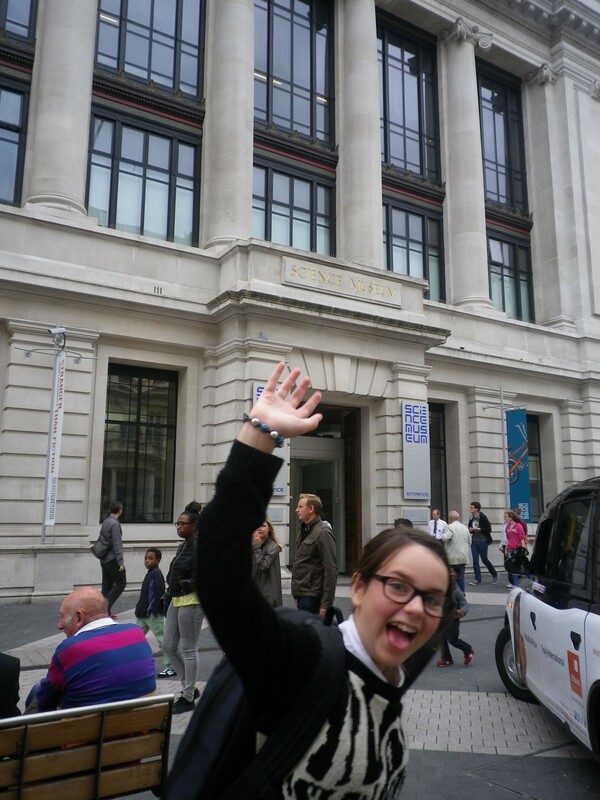 My favourite parts was that studying the microscopic world – the images were visually stunning. I won’t give too many spoilers, save to say despite being very enjoyable, the film was informative and educational – definitely learning by stealth. The size of the screen, and the 3D coming-to-get-you parts make it an immersive experience. Plus there’s a couple of gross bits, always a hit with the kids. Behind that bag is one very large smile! After the film, we could finally grab that popcorn! As I’m on a restricted diet, I was delighted that the ingredients for each type were listed, and that the sweet popcorn was dairy and soya free. The medium size was massive – despite a valiant effort, the tweenager could only manage half and so took the rest to finish at the theatre that evening. At £2.50 for a small popcorn and drink, I think it’s an affordable treat. We normally go for ice-cream after a trip to the South Kensington museums, but I’m going to give the option of popcorn now. We were so relaxed it was a good time to check in with the tweenager to see how she was doing, without her clamming up. I also found a new quiet spot at the Science Museum – the IMAX lounge! With comfy leather sofas, dim lights and hardly anyone around, even in the summer holidays, I now know where to go to catch my breath during our visits. Suitably refreshed, we headed back to Fly Zone to see the results of our earlier posing. You are shown three edited images, and you choose the ones you like, starting at £10 for one. For this, you get a printed photo in a special card frame, and a code so you can download the image from their website and share as you like. 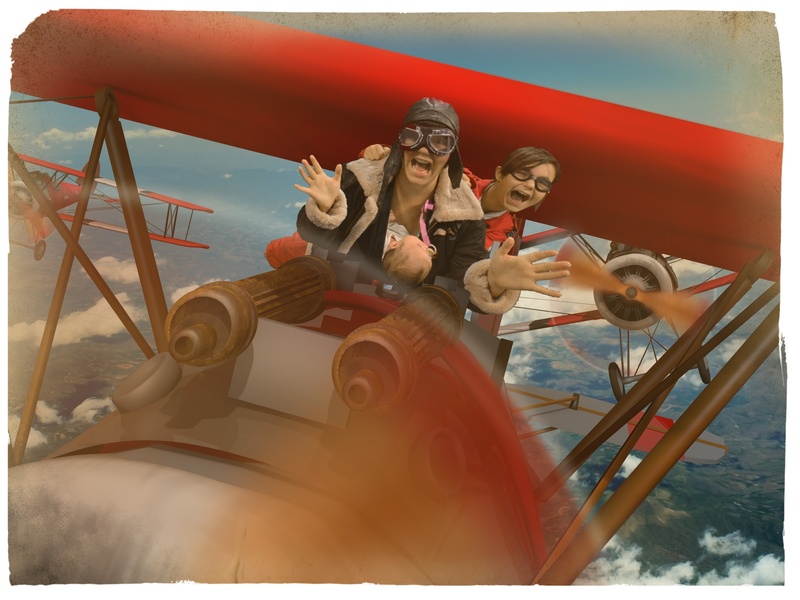 The photo is a great souvenir of our visit – on this sort of outing, I’d be the one taking the pictures rather than appearing in them, so it’s lovely to have such a fun image together. We really enjoyed this visit – just as we’d expect from the Science Museum, but doing new things together made it all the more special. Within two days, the tweenager had already asked for another film outing there – and we’ll know how to find it next time! 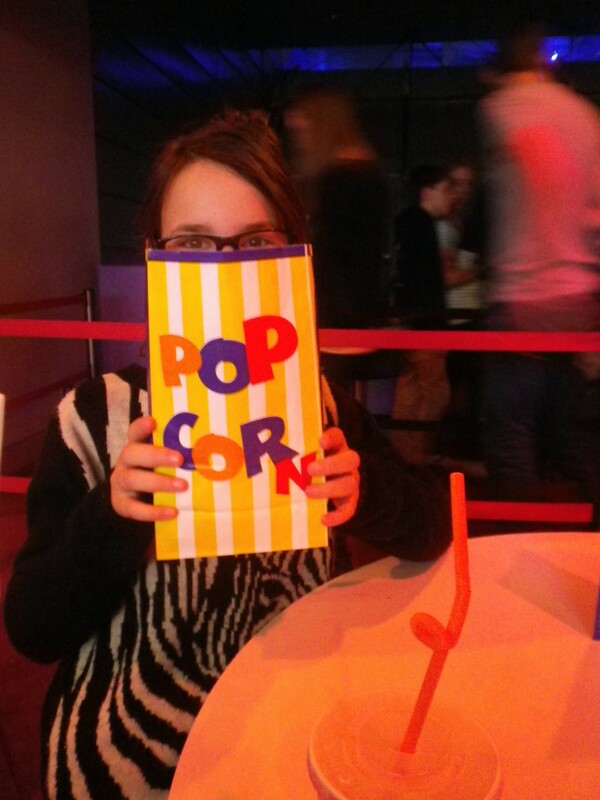 The IMAX tickets, photograph, popcorn and drinks were complimentary from the Science Museum for review purposes. All thoughts and opinions are my own. Also look at an Explorer ticket where you get an IMAX film, Legend of Apollo, Red Arrows 3D, Typhoon Force and a guidebook. Booking: Book online for free, by phone for £1 booking fee per ticket (max £5), or buy from a ticket desk at the museum on the day. Recommended length of visit: Film lasts about 35 minutes, plus time for popcorn and photo – we spent 2.5 hours at the museum. Buggy accessible? : Yes, a lift is available to take you between floors. But I wouldn’t take a toddler, they wouldn’t wear the glasses – and might be overwhelmed by the huge visuals and loud sounds! 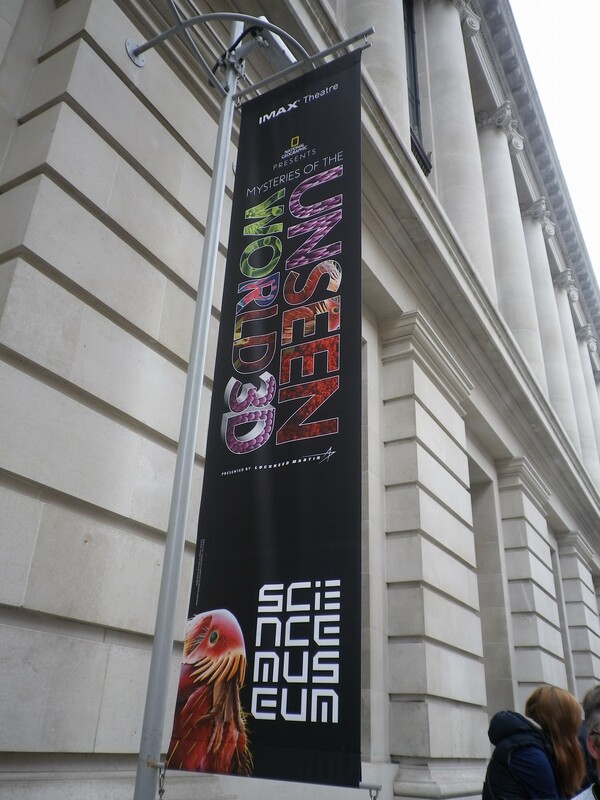 Mysteries of the Unseen World is recommended for ages 8+. Baby changing: There is a wheelchair accessible baby changing facility on the ground floor of the Wellcome Wing (the entrance to the IMAX cinema). Breastfeeding friendly? : In the cinema, no-one can see you feed. 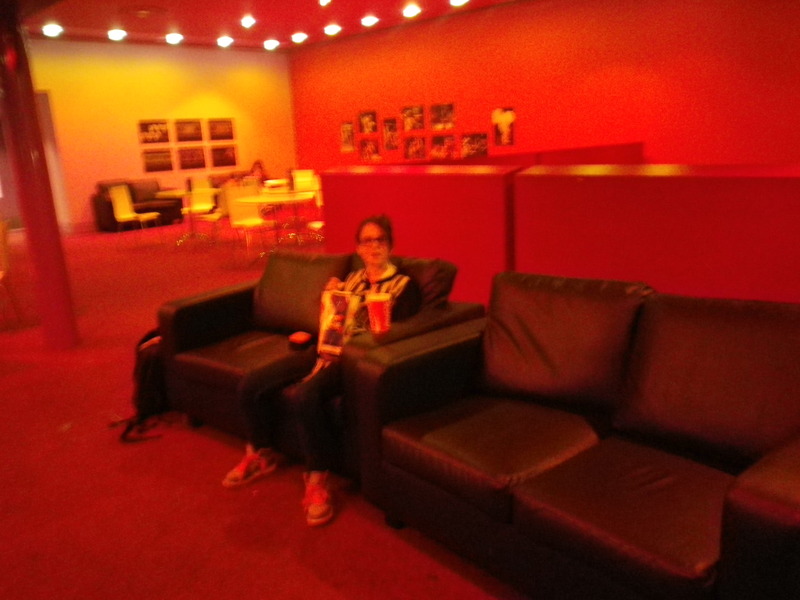 Plus the lounge was quiet, calm and had comfy seats. Score! Toddler time from cinema to toilets: Don’t take them! But it’s about three minutes, depending where in the cinema you sit. Nearest playground: With this age group, they’ll love the hands-on Launchpad on the third floor of the Science Museum. The nearest outdoor playground is the rather fabulous Diana Memorial Playground, for children up to the age of 12 (but better for younger ones). Food: Need more than popcorn? The Science Museum has a number of eating options – the family restaurant Deep Blue being the nearest to the IMAX. You can eat anywhere in the museum without carpet, and there are picnic areas provided. Want to make more of a day of it? : Not hard in the heart of museum land! Get thinking about current science issues in the Antenna Gallery, go all animal at the Natural History Museum or get arty at the V&A.